A lovely setting provided by the family, to welcome guests. 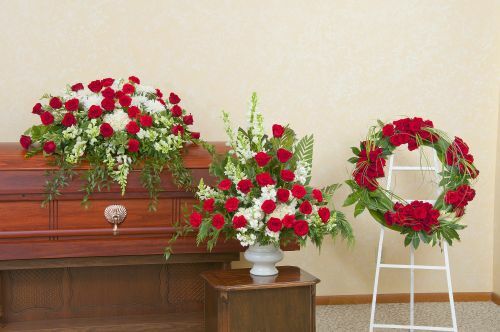 Includes the casket spray, large urn and wreath. So many beautiful red roses!